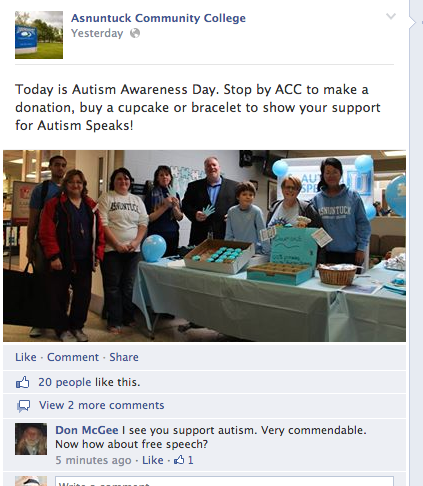 UPDATE: Since this article was posted, ACC has removed its Facebook page entirely. As of this update, it is still available via Google’s cache. 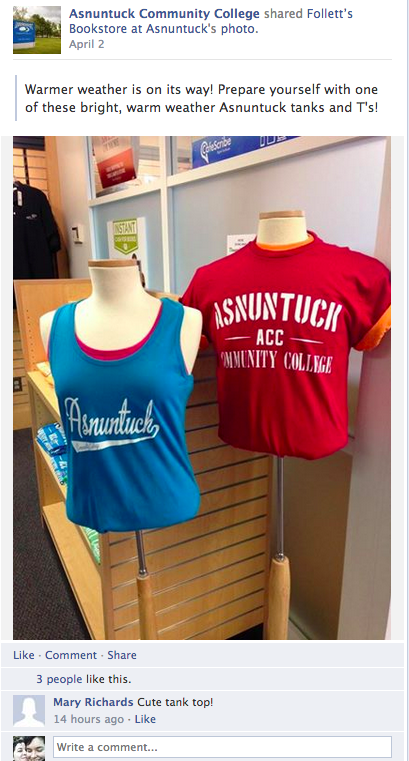 Asnuntuck Community College’s (ACC’s) attempts to avoid negative publicity backfired brilliantly yesterday in front of visitors to its official Facebook page. On Tuesday, FIRE released a press release about ACC’s censorship shenanigans, and on Wednesday my colleague Peter Bonilla relayed more details about the Connecticut public institution’s discipline of student Nicholas Saucier for his protected speech and its repeated refusal to view exculpatory video footage. 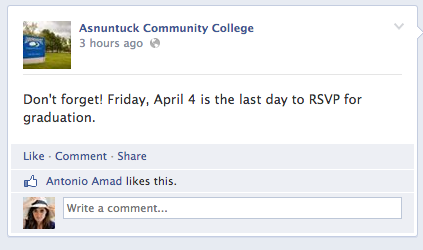 FIRE wrote to the college on January 13 and have received no response at all. After we covered the case here on The Torch, though, concerned citizens took to ACC’s Facebook page to demand answers and action from ACC administrators. And they did get a reaction—just not the one they’d hoped for. 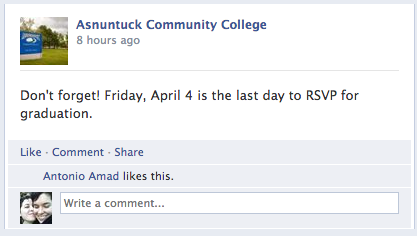 ACC deleted every critical or questioning post from its Facebook page. 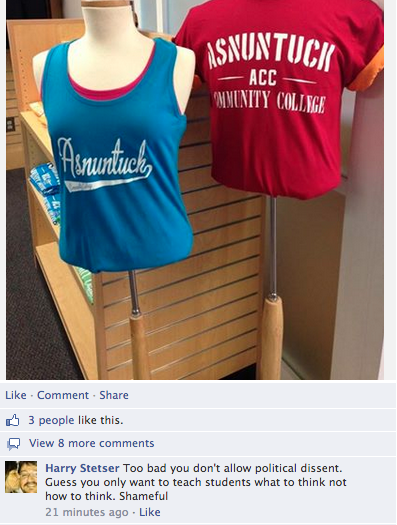 Nevertheless, someone with access to the ACC account quickly deleted these posts, and they didn’t stop there. 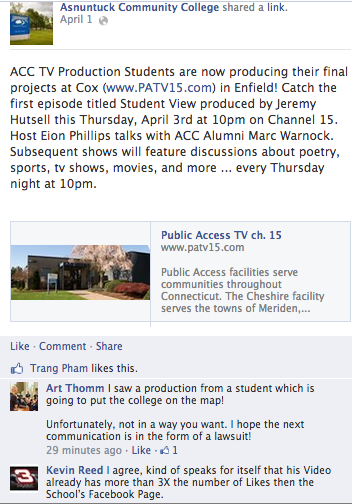 Until today, visitors to the page could either comment on ACC’s posts or add their own comments. But sometime during the day, an administrator of the account disabled new posts by other parties, meaning that anyone wishing to speak his mind on the ACC page now had to comment on one of ACC’s posts. 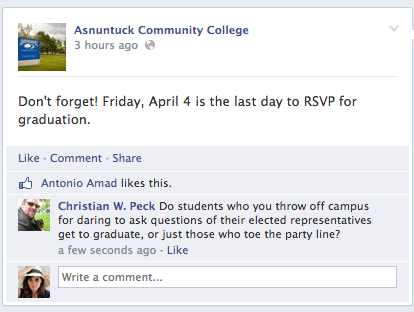 As the night went on, “View all [number] comments” links on ACC’s posts indicated that people were continuing to comment. Clicking on those links, however, revealed no comments. Those inaccurate “View all” links are artifacts of hidden—not deleted—comments. These numbers and recent activity on Twitter demonstrate that defenders of free speech and due process on the ACC campus have not given up yet, but neither has ACC given in. 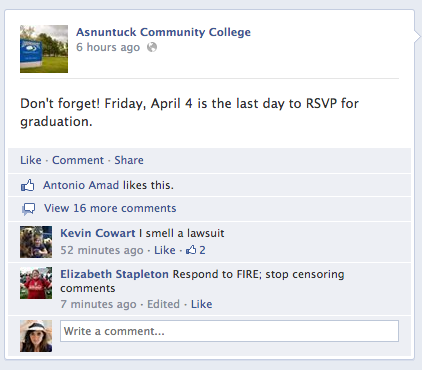 A spokesperson from Asnuntuck Community College told TheBlaze that they are seeking a correction from FIRE, saying their statement on the situation is “categorically false,” and that Saucier was suspended for his harassing behavior and not the subject matter. They declined to go into any more specifics, citing Saucier’s privacy. FIRE has not received any requests from ACC for corrections or any other correspondence at this time (although maybe such a request is on the way). 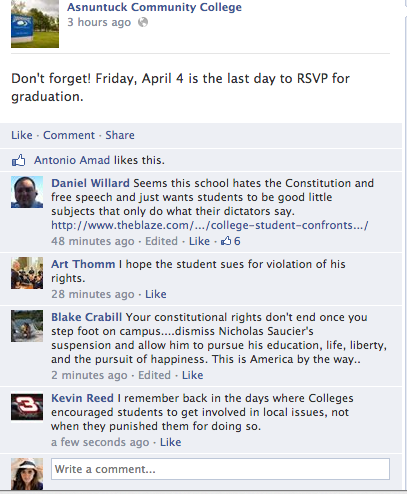 We have not asserted that Saucier was suspended for the subject matter of his questioning—only that his speech was protected by the First Amendment and was neither harassing nor threatening, despite what ACC has alleged. We encourage readers to explore the case documents for themselves and decide whom they wish to believe. We commend the ACC community members and members of the public who are demanding accountability from the college, and we sincerely hope ACC quickly realizes its errors and chooses to fulfill its legal and moral obligation to uphold its students’ First Amendment and due process rights.